Oh... They like it? Well! In that case... I'll probably go pick up some of the blackwater stuff, then, too. Thanks for that tip. I redid this tank yesterday. I just couldn't take the gravel anymore. I've got Devil's Ivy growing out my ears right now, so I decided to put some in here to grow, since I no longer need a lid for a betta. I've been thinking about putting some in my son's room anyway, this just makes it less watering work! 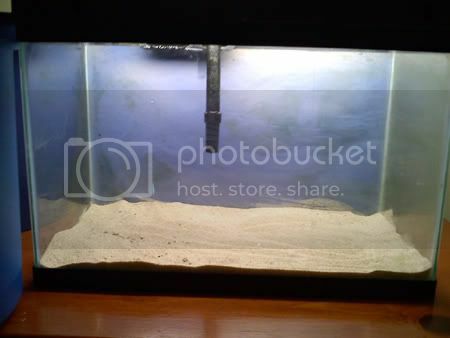 I've got a new filter pad in my 46g getting seeded, and I'm thinking I'm going to locate some "pearl blue" shrimp (cherry red, only, you know... blue) and have a colony of them in this tank, as well as maybe another snail. I'm hoping that my java ferns will start producing some babies, because I've got quite a few spots I want to tie some. 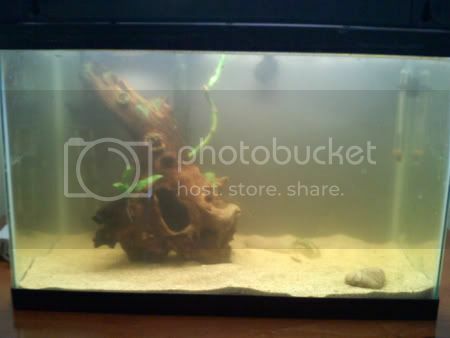 I may also split some of the c. wendtii in my big tank and put it in here, too. 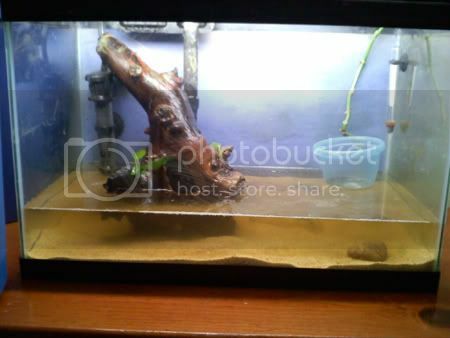 And I'm going to hit The Home Depot soon and get some osmocote and make my own little root tabs for both of these tanks! 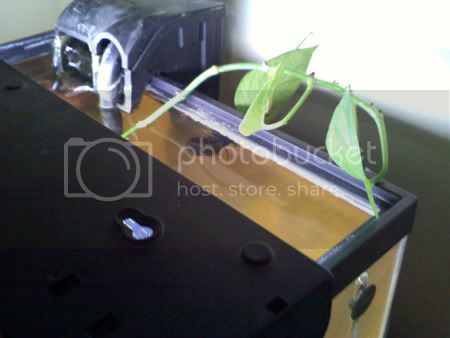 I was thinking about having some Pothos (devils ivy, aka Epipremnum aureum) in my tank. Never did do it just because I am too afraid to try. Glad to see someone do it! Looks great! I know that if a child or a dog (and probably an adult) eats the leaves, they'll get sick, so I imagine that applies to fish as well, but I don't think shrimp or a mystery snail is going to snack on the leaves! If they do, I can pull it out and put it in a vase, I suppose! I'll let you know how it goes.